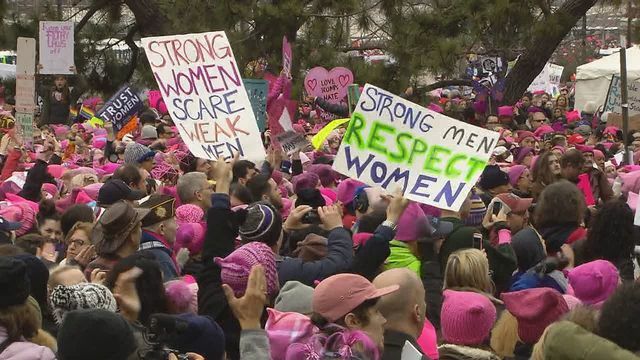 Yesterday the United States held one of the largest women rallies in history. The Women’s March on Washington broke record numbers of attendees with 750,000 in Los Angeles, 500,000 in Washington, 250,000 in New York City, 250,000 in Chicago, 150,000 in Denver and hundreds of other cities in the country uncounted. These numbers surpass the 250,000 attendance for Donald Trump’s inauguration. One of the biggest issues that the March was standing up against was Trump’s immigration policies. One of the greatest things about these rallies is that they were completely nonviolent which rarely happens with todays society. Under the guiding principles of the Women’s March it states that “nonviolence is a way of life for courageous people. it is a positive force confronting the forces of injustice and utilizes the righteous indignation and spiritual, emotional, and intellectual capabilities of people as a vital force for change and reconciliation. Even though the March’s mission was completely nonviolent, people were denied entry to the United States because the were planning to attend a “potentially violent rally” according to border control. 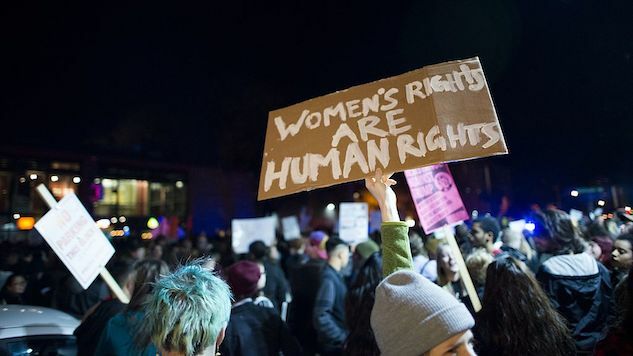 Both Canadian and British protesters were headed to the Women’s March on Washington when they allegedly were denied entry to the United States. Joe Kroese, a British man studying in Montreal was allegedly refused entry into the United States when a border control office told him that it was because he was planning to attend a potentially violent rally. Kroese said the officers questioned him for three hours including being searched, fingerprinted and photographed. He said that he was traveling with a Canadian and two US nationals along with the large group that planned to make a short stop in New York before arriving in Washington. After being denied entry, officers told Kroese and the friends he traveled with not to travel to the U.S. for several months and they would need a visa the next time they came. What is most concerning is what Kroese said about the questions the officers asked, he said “They searched the car and then they asked the driver if he practiced Islam and if he spoke Arabic. They wanted to spook us a bit. It felt like a kind of intimidation.” Apparently before the rally there were reports that people would be denied entry into the U.S. when crossing in Quebec. Another man by the name of Joseph Decunha of Montreal, was also allegedly turned away for “administrative reasons” after he told the border control agent that he planned to go to the inauguration and the Women’s March in Washington. Decunha said “The first thing he asked us point black is, ‘Are you anti- or pro-Trump? It felt like, if we would had been pro-Trump, we would have absolutely been allowed entry.” The officers told Becunha if he tried to enter the United States again this weekend he would be refused. Another example of being denied entry to the U.S. for the March was Sasha Dyck of Montreal. Sasha said she was traveling with a group of eight people which included six Canadians and two French natives. When they arrived at border crossing the officers asked why they were coming to America. The group explained that they were going to attend the March and then the agents asked them to pull over their car. The officers searched the car, had their phones examined and each member of the group was fingerprinted and photographed. The whole group was denied entry to the country and told to “head home”. They were told that if they tried to enter the country again this weekend then they would be arrested. Although border control took precautionary actions to protect their country, it is uncertain why some people were denied entry to a peaceful protest. Many people believe it was denied purely because it was an anti-Trump protest. Many media contacts such as The Independent had contacted the U.S. Customs and Border Protection for comment but their request has yet to be fulfilled. Have you been denied entry to the United States?